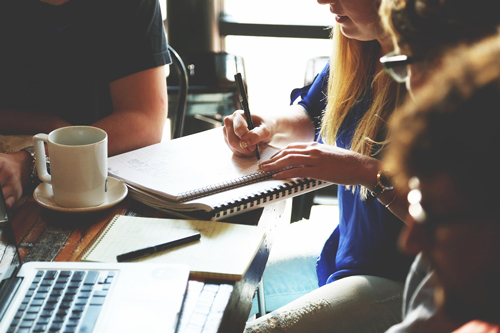 When planning a group vacation, it can be difficult to coordinate everyone’s schedules, destination preferences and activity level. Every year, more and more travelers are turning to cruises as the ideal way to relax and explore the world with their friends and family. Cruises are a perfect vacation for a group of travelers because they offer plenty of activities to satisfy all ages and activity levels, have unique cuisine options that appeal to all, and travel to many destinations all over the world. While it might seem overwhelming at first to plan a vacation for a dozen or more people, we broke down how to make it easy and fun. Here is a step by step guide on how to plan a group cruise. Cruises are great for multigenerational family vacations because every age group can find something onboard that appeals to them. From lounging by the pool for the grandparents, to adults-only areas for the parents, and even kids clubs for the younger cruisers to enjoy. Families can re-convene at meal times and talk about their day. Another type of group that can benefit from cruising are wedding parties. Many cruise lines offer wedding packages and facilities for such events, like Princess. Their “Tie the Knot at Sea” packages, include amenities like an onboard wedding chapel, a ceremony officiated by the captain, a wedding coordinator, flowers, photographer, as well as more perks for the wedding couple and their guests. This can be a great way to kick off festivities and have all family and friends together in one place to help couples celebrate their special day. Other groups that can benefit from cruise vacations are class reunions, bachelor/bachelorette parties, and even those with a specific company, organization, or convention. After your group has agreed about a going on a cruise vacation, everyone should diplomatically choose a group leader. It is helpful to appoint one person to relay information about prices, ship options, excursion picks, payment dates, and other details so that there is one source of information. This person will be the main contact that communicates with the travel consultant. They should be well organized and great at communicating deadlines and details with the rest of the group. Other people in the group will decide what is most important to them, what things are negotiable and what they must see and do. The group leader will listen to everyone’s cruise preferences and make decisions based on all the feedback. Whatever it is, all members should be satisfied with the type of cruise booked, the dates of sailing, itinerary, ship, and that the cruise fares are all acceptable and within budget limits. 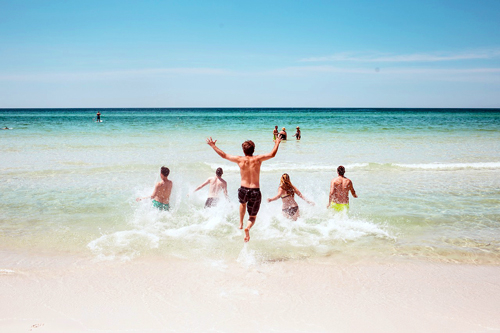 Booking early insures that your group gets their first choice on travel dates, cabins, and excursions. It also gives your group plenty of time to organize travel arrangements. Related: Read More About Planning A Group Cruise! Most groups find it important that everyone has cabins on the same deck, so everyone is in close proximity to each other. Since booking a dozen cabins in a row or in the same section of the ship can be difficult the longer the sailing has been available, it is imperative to book ahead of time to make sure there is room for everyone. Plus, popular dates, new ships, or sailings with exciting itineraries can fill up well in advance. When considering excursions, cruise websites will often have their shore excursions listed in advance. Popular ones that offer bucket-list experiences go fast and space can be limited, so make sure you know who wants to go and it is booked early. Another option to consider are private tours arranged prior to sailing which can be a more budget friendly option with a smaller number of people. After excursions, check in to dining times in the main dining room. Seating times and table mates may vary by cruise line. For example, Norwegian offers freestyle dining with no fixed dining times or assigned seating, while others offer only early or late seating times. Specialty dining choices are available as well, so before you sail, make those reservations if celebrating a special occasion, like a birthday or anniversary. When you plan a group cruise, it is important that the group is on the same page about shore excursions, dining times and daily activities. Some people in the group might want their vacation to be more relaxing and focus on eating and lounging by the pool. Others might want to take advantage of every activity on board and at the ports. Related: Click Here To Save BIG On Luxury Cruises! A few questions for the group leader to ask: Does everyone in the group want to do all the excursions together? Does your group want to eat every meal together or maybe just meet up for breakfasts and special dinners? A good rule of thumb is allow everyone do to their own thing and give them the freedom to choose whether or not to go on a shore excursion, opt for a different one, or simply stay onboard. Setting expectations and making a plan ahead of time will make your cruise flow smoother and alleviate any anxiety onboard. Once the cruise has been booked and deposits are paid, the real fun begins. It’s very easy to let small details fall through the cracks- don’t assume that all group members are aware. Experts suggest the group leader should put everything in writing so all members of the group can understand important details, transportation to and from the cruise, pre and post nights, due date deadlines, what’s included on the cruise and what the group should expect to pay extra for. Related: All The Best Cruise Deals In One Place! For example, make sure everyone is aware of drink policies, beverage packages, which dining options are included and the cost for specialty dining restaurants. Make sure your group leader reaches out to your travel consultant with any questions that arise. 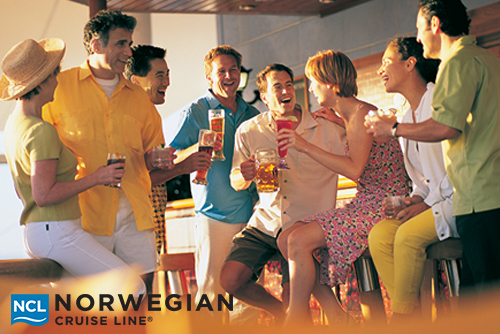 So before you and your favorite group of people jet off for another holiday at a resort, plan a group cruise instead. As long as you communicate clearly, book everything ahead of time, make a plan, and consider all the small details, everyone will be able to enjoy a stress-free and exciting vacation together. 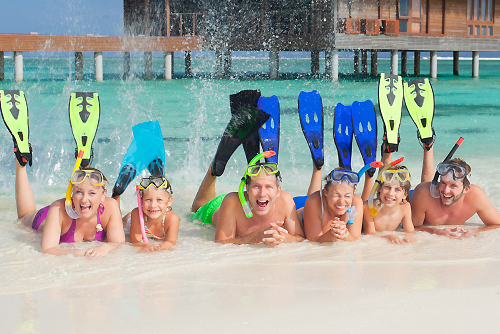 Cruising can be a perfect vacation choice for any group.